The 3' D.A.S. 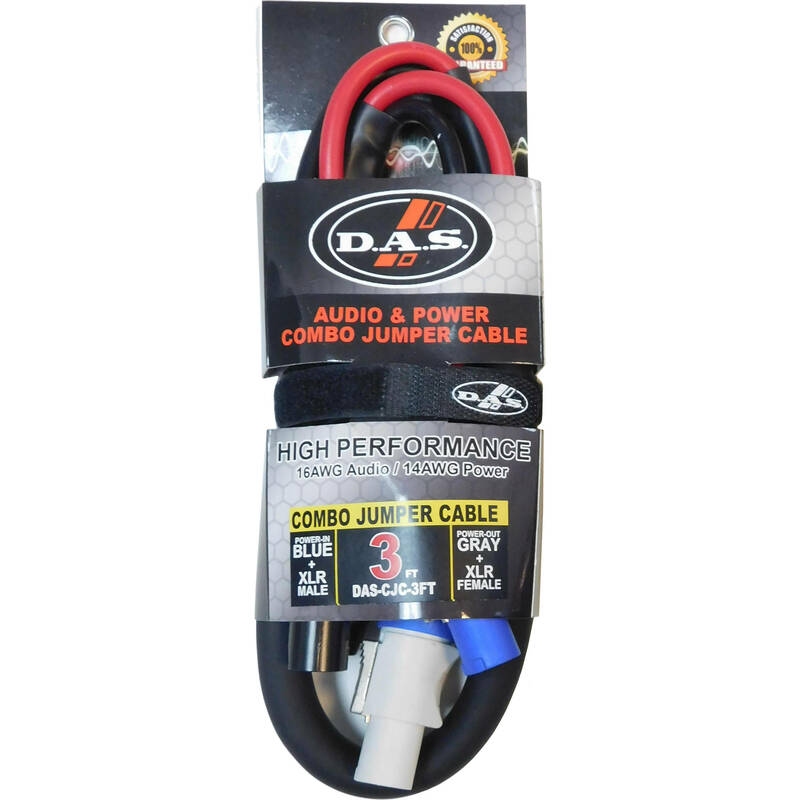 Combo Jumper Cable is a specialty interconnect cable allowing you to quickly and easily pass power and audio signals between speakers. The jumper features a 14 AWG power cable with PowerCon connectors and a 16 AWG audio cable with XLR connectors.